Polish Jurassic Highland is a region that consist of limestone rocks, cliffs, valleys and caves that originated in Late Jurassic epoch. It stretches between Krakow and Czestochowa and creates an unusual ecosystem in which completely opposite plants coexist. The region remains pristine with almost the only human activity being the so-called Eagles’ Nests Trail of medieval castles built high on top of stone outcrops. Polish Jurassic Highland is one of the most beautiful regions in Poland and for that reason it is also very popular amongst tourists. Part of the region is protected as one of Polish National Parks. Polish Jurassic Highland, also referred to as Polish Jura, had developed during Late Jurassic epoch. The landscape is a rare example of free standing limestone rocks, inselbergs, wast valleys and deep caves. Some of the rock formations in Polish Jura are so well-known that they bear their own names and have become a peculiar tourist attraction. 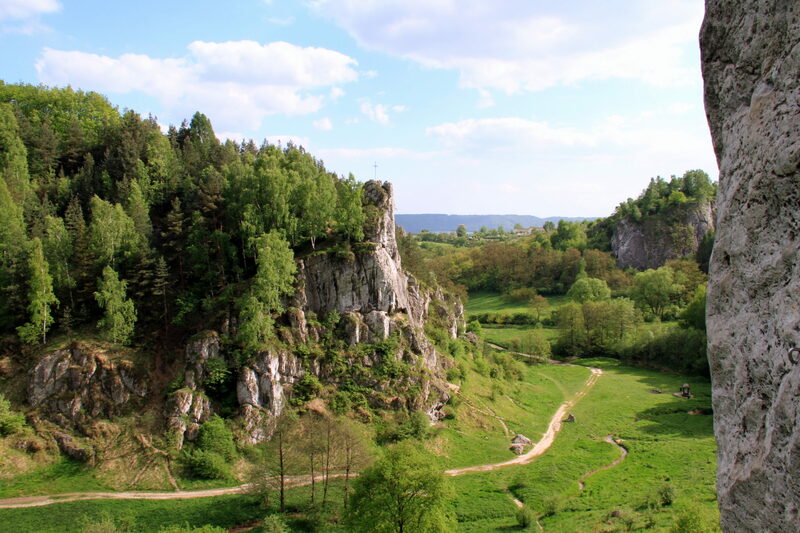 There is a myriad of rock formations in Polish Jurassic Highland. They all amaze with wonder for their shapes and locations. 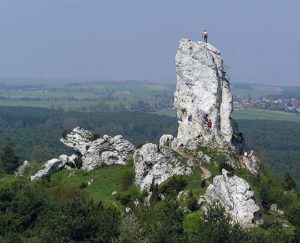 Arguably the most famous is an isolated rock formation near the castle in Pieskowa Skala, called the Hercules’ Bludgeon. The name of the rock derives from its interesting club-like shape. 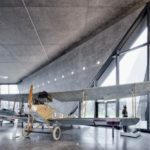 The Hercules’ Bludgeon is about 25-metres high and stands atop of a flat rock called the Piano. It is a very picturesque place, especially with Pieskowa Skala castle overlooking the valley. In the 1930’s the Hercules’ Bludgeon was popular among rock climbers. The natural rocky outline of the region was a great advantage in building the castles of the so-called Eagles’ Nests Trail in the 14th century. Today, only ruins remain of most of the castles, with Pieskowa Skala being a unique example of developed residence. 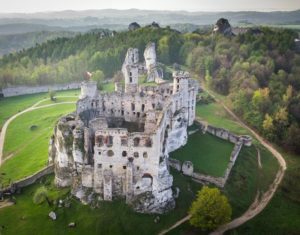 But it is still possible to see how the castles were built in harmony with nature, taking advantage of the valleys, cliffs and caves of Polish Jura, but also not devastating it in order to adjust the nature to the needs of human activity. There are over twenty castles on the Trail of Eagles’ Nests, but one of the most picturesque ruins and a beautiful example of the Eagles’ Nest castle is Ogrodzieniec. The castles are perfectly blended in the landscape surrounded by even more unique rock formations making this region truly magical. Polish Jurassic Highland has one of the largest accumulation of caves in the country. 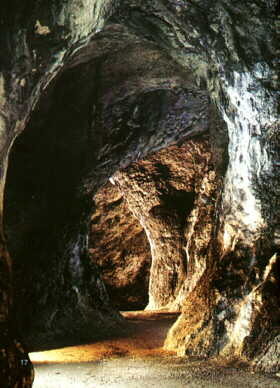 The caves originated in Late Jurassic along with other rock formations of the region. Gradually eroding Jurassic limestone rocks created underground drainage systems as one of the forms of karst. Particularly many caves are located in the vicinity of Ojcow, around 20 km north of Krakow. The first traces of primitive man in Poland were discovered in the caves of Polish Jura. They were also in use in the Middle Ages, especially during wars, but they also served as shelters for local robbers. Some caves have their own legends, like the King Elbow-high’s Cave, in which the king of Poland Wladyslaw Elbow-high was hiding during the battle for the throne at the beginning of 14th century. Not all the caves are open for tourists. 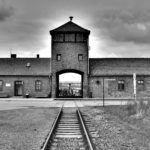 The nearest to Krakow available for exploring are the Dark Cave and the King Elbow-high’s Cave. Others are prohibited from entry, mainly because of the hazards associated with the difficulty of the route and landslides. Another curiosity of Polish Jura is the Bledow Desert. It is Europe’s largest accumulation of loose sands so far away from seaside. 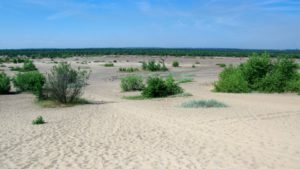 Bledow Desert originated thousands of years ago by melting glaciers, but human activity also took its toll. As a result the groundwater level has fallen to such an extent that it stopped any plants from growing. Combined with extensive deforestation for the mining and metallurgical industries that have developed in these areas since the Middle Ages, about 150 km² of loose sand was exposed . From the early 20th century the desert was used as a training ground by the army. During World War II, the German Afrika Korps used the area to train soldiers and to test equipment before deployment in Africa. Currently, only the northern part of the desert serves as a military training ground. The most popular tourist route in Polish Jurassic Highland is following the Trail of the Eagles’ Nests. 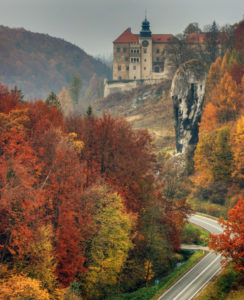 A great direction for a day-trip from Krakow is Ojcow National Park with such landmarks as Pieskowa Skala castle, Hurcules’ Budgeon, Ojcow castle and its beautiful, pristine surroundings, Dark Cave and King Elbow-high’s Cave.